Once I did an intro writing course at the Writer's Studio that was kinda fun. (To read an awesome piece of herp fiction that came out of the course, click here.) Below is a blurb about their upcoming season for interested parties. THE WRITERS STUDIO, founded more than 20 years ago in New York City by 2008 Pulitzer Prize winner in Poetry, Philip Schultz, is now in its fourth year in Tucson. AN AFTERNOON FOR WRITERS will be held on Saturday, September 27th at 1:30 – 4:30 PM. to kick off the fall season. The afternoon will include a talk and Q&A with Jerry Simmons on “The Business of Publishing.” The talk will be followed by a free introductory class and a Fiction and Poetry reading (a $5 suggested donation to cover costs.) Please contact Eleanor Kedney at eleanor[at]writerstudio[dot]com or call 520-743-8214 to register. Space is limited. Level I classes start 9/24 and 10/4. Level II begins on 9/25. 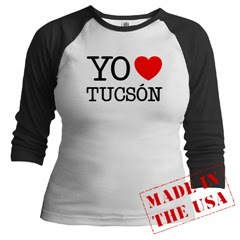 Ahhhh--I am experiencing Tucson Querido post-overload!